Offering financial, emotional and family well-being services to employees is becoming nearly as important to companies as offering health insurance as they compete in a tight job market and seek to increase worker productivity and job satisfaction. Ongoing studies at Harvard University and OC Tanner Institute show that when individual employees experience well-being in their jobs and lives, they more often use their skills to further company goals and help customers, adapt more flexibly to change, and are more creative and proactive problem solvers. On Jan. 1, Blue Cross Blue Shield of Michigan plans to roll out a new virtual well-being program to complement its online wellness and health education programs. The weekly webinars will be free for nearly all 6 million individual and group members in Michigan and nationally, said Cindy Bjorkquist, Blue Cross' director of wellness programs. "This is a new added capability for all individuals and group members," she said. "We want to support employers going down this journey to help improve well-being." In 2015, the Michigan Blues partnered with WebMD to offer an online health and wellness program as part of its health insurance product offerings. Basic member benefits include online health assessments, digital health coaching, access to personal health records, a 24-hour nurse helpline, case and chronic disease management. Bjorkquist said the weekly well-being webinars will be offered to employers on Tuesdays and to individuals and members on Thursdays by Matt Wozny, Blue Cross' virtual well-being coordinator. Members that missed the live presentations can download the 15- to 20-minute recorded webinars and accompanying educational resources. Through the webinars employers can learn best practices to build, complement or enhance their own worksite wellness or well-being programs, Bjorkquist said. Depending on the company's culture and employee participation rate, employers can potentially lower health care costs, increase employee productivity, job satisfaction, improve retention rates and reduce absenteeism. At least 50 percent of all health care costs can be attributed to unhealthy behaviors and lifestyle choices, according to the U.S. Centers for Disease Control and Prevention. What is a well-being program? Experts say it is the natural evolution of wellness programs where employers offer services that go beyond physical health assistance to areas such as family, social and financial issues. It can include training to improve emotional health, social connectedness and happiness. 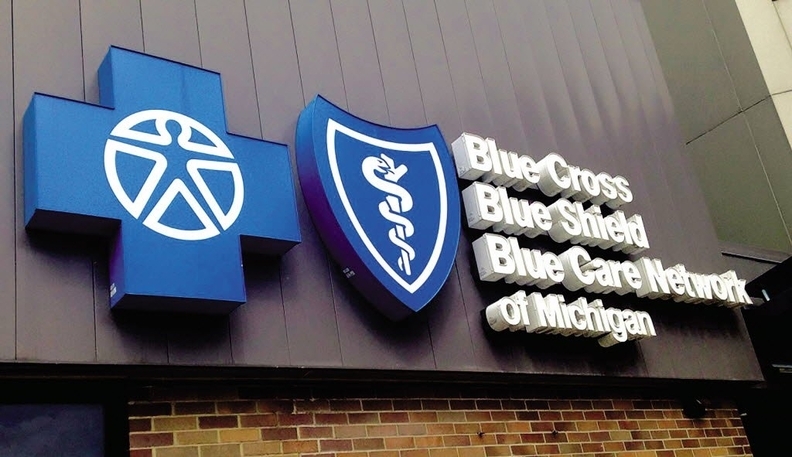 Susan Morgan Bailey, director of total health and wellbeing at Troy-based Marsh & McLennan Agency Michigan LLC, said Blue Cross is taking an unusual step for a health insurer by offering well-being services. "They are trying to expand their reach" and provide added value to employers, Bailey said. "A lot of clients aren't ready to invest in a full-time or part-time well-being coordinator. This brings resources to employers who might want to offer a menu of options to their employees." Early last year, Marsh & McLennan launched its Well-Being University to help human resource and other executives at midsized employers learn about the value of employee well-being, how to launch or redeploy programs and benchmark outcomes. Nearly 100 of MMA Michigan's 430 health benefit survey participants and clients have completed its well-being courses. Over the past several years, large corporations such as Ford, GM, Quicken, Dow, Meijer, Amway, Google, Aetna and Microsoft have adopted health and well-being philosophies. Experts say they are further ahead in developing well-being programs than smaller companies and have a competitive advantage. Bailey said all national health insurers offer a wellness platform to educate members and help them track healthy behaviors. She said the Michigan Blues have taken wellness another step with the online well-being program. "What sets this apart (from what other health insurers are doing) is the live weekly webinars on the computer with a new topic every week that is focused on financial, emotional and physical wellness," Bjorkquist said. Topics could include the benefits of sleeping and proper nutrition, the importance of making regular 401(k) contributions or how being mindful can help lead to being a better parent or spouse. Bjorkquist said it was her idea to add the virtual well-being program to the Blues' health and wellness menu of services. Blue Cross approved the program after employer focus groups indicated 100 percent support for the programs. "Employers want improved productivity, retention and morale," she said. "They can watch the webinars and make changes to improve their state of well-being." Bailey said employer-based wellness programs are holding steady but well-being programs are growing faster in numbers because of the holistic approach they take with employees. "We hear challenges from both sides of the equation. It takes resources to coordinate and bring information to employees and for employees it takes time to attend a lunch-and-learn or go to a seminar," Bailey said. "A webinar is more convenient. You can watch the webinar at night. ... To change behavior, it takes a whole lot more than education." Next year, MMA Michigan plans to supplement its well-being worksite and webinar class beyond classes on financial wealth, health benefit compliance and communication strategies to helping companies develop an effective work culture. "What are the factors of a strong culture that support having a healthy workforce?" Bailey said. "It is part of well-being we want to spend time on to help folks understand what influences creating a healthy culture." Bjorkquist said she is excited about well-being because it fuses traditional wellness programs with physical health and expands it into other areas such as emotional and financial health. "One of the biggest things is a person's perception of life," she said. "If they don't perceive their life in going in a right direction" problems can develop both at home and in the workplace. For example, a well-being program can include "mindfulness training" that could feature a 20-minute meditation session and happiness classes. "It can teach a person how to be happy," she said. Once participating in the well-being program or using Blue Cross' basic health and wellness programs that are part of some health insurance plans, Bjorkquist said employers or individuals can also "buy-up" and purchase Blue Cross' premium wellness, health management or wellness-plus packages. "We have been offering premium wellness packages for 10 years. They are very popular," she said. The Michigan Blues premium health and wellness packages include chronic disease management help, elective surgery consultations, online wellness program assistance and reward fulfillment, physician health screening, lifestyle and tobacco cessation coaching and an onsite wellness coordinator. But Bjorkquist said Blue Cross doesn't want to be prescriptive about what employers should do once they participate in a well-being webinar or program. "If they want to go down the road, we have a calendar (of programs). The hope is they could do something more," she said. "Blue Cross takes aim at 'well-being' " originally appeared in Crain's Detroit Business.